High quality Morgan Gel Injected Neoprene boxing knuckle guard pads (pair). * Strong stretchable Neoprene material outer casing with 1 cm of high impact silicone gel for greater knuckle protection. * Latest gel injected padding technology around knuckle area for more impact absorbing protection where you really need it. 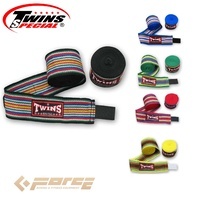 * Features an internal grip bar and grip flex expansion points for added fist support and a more comfortable fit and also encourages making the correct fist formation. * Quick and easy to slip straight on and take off and can be worn inside boxing gloves for added knuckle and joint protection. * Ideal knuckle guard pads for boxing, kickboxing, Muay Thai, MMA and boxing fitness training. Adults with medium to large hands.